Today marks the release of DAWN ON THE ROAD by Lea Waterhouse. Check out this young adult contemporary novel. She’s here for the ride. For the road. For inspiration. Dawn dreams of adventure, inspiration, and to feel something deeper. She’s certain that art will be the catalyst for these goals, except that the adults around her think she’s not being realistic. 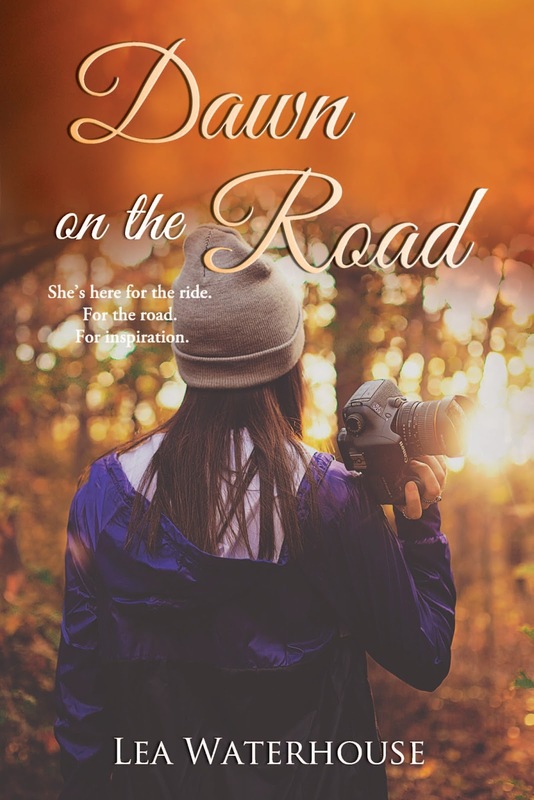 When Justin returns to her life the summer before her senior year, he convinces her to find inspiration on the road. Now she’s off, perched on the back of his motorcycle, heading up the coast to a preview weekend at an art school. It isn’t long before Dawn realizes Justin’s view of inspiration is quite different than hers. He believes it comes from a God she was taught absolutely does not exist. On the road, maybe she’ll find a friendship renewed. Maybe art. Maybe even love. Or perhaps she’ll find all three wrapped up in a different kind of inspiration, but only if Dawn can break from her upbringing, open her heart, and figure out what she believes. We were back on the road early, since we needed to make serious mileage if we were going to make it in time. That meant watching the sunrise over lush forests from the back of the motorcycle. Chilly morning air whipping my skin. As excited as I was for the school tour and portfolio discussion, I was also looking forward to a leisurely ride back. We could take our time. Justin and I could continue all our wonderful philosophical discussions. We could see more gorgeous, natural places. I would spend hours on the back of the motorcycle with my arms wrapped around him. Maybe I would even dig deeper on all this religion stuff. I had to admit I was getting a little curious. Lea Waterhouse is a lover of words, wilderness, and roads to anywhere. She graduated from Vanguard University of Southern California with a major in English and minor in Religion. Other than writing, her passions are reading (of course! ), traveling (by plane, motorcycle, car, boat, train…anything! ), and viewing beautiful art.